I’m finally back after 10 days I think its been? I’ve been super busy with school work & I’ve been poorly but I’m determined to keep posting as much as I can! Also thankyou for 30 followers on Bloglovin’, that may seem like nothing to some people but to know 30 people enjoy what I’m doing makes me so happy and I hope more people continue to follow me on my little blog. So today I have two products that I’ve been LOVING together lately, that just gives such a flawless effect to your skin, I hope you enjoy! 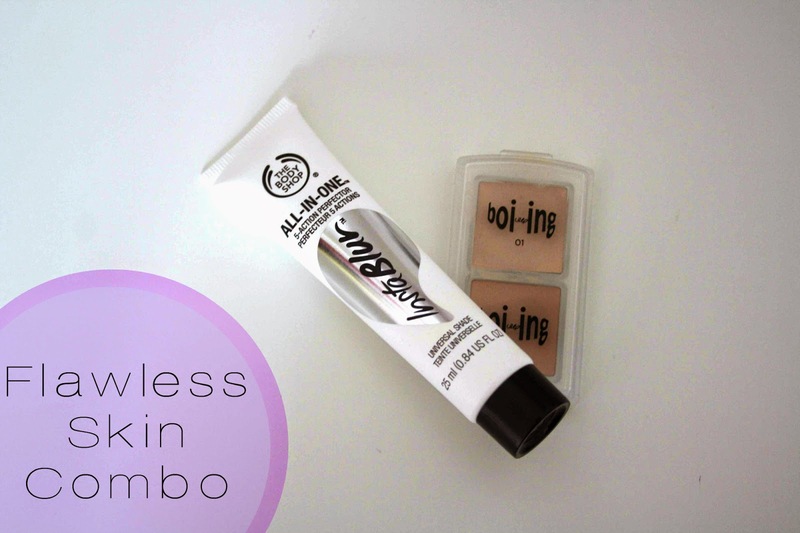 The Body Shop InstaBlur – I was never one to use primer after a bad experience with Maybelline Baby Skin, which made me break out and make my skin feel horrible. However, I still really wanted to try a primer because I think it keeps makeup on so much better, so I opted for InstaBlur after hearing so many good reviews. I just use a small amount across T-Zone, which obviously includes my nose, under my eyes are just across the bottom of my forehead. I find this works particularly well on my nose and actually has really helped control oiliness and also dryness; I have such combination skin its hard to keep up with it! I also feel this gives a flawless finish when I add my makeup and helps it to stay all day. Such an amazing product. Do you have a favourite every day skin combo?